Around the pool, surrounded Mediterranean plants, beach lounges and umbrellas, a professional whirlpool tub and a massage area with professional massage therapists. 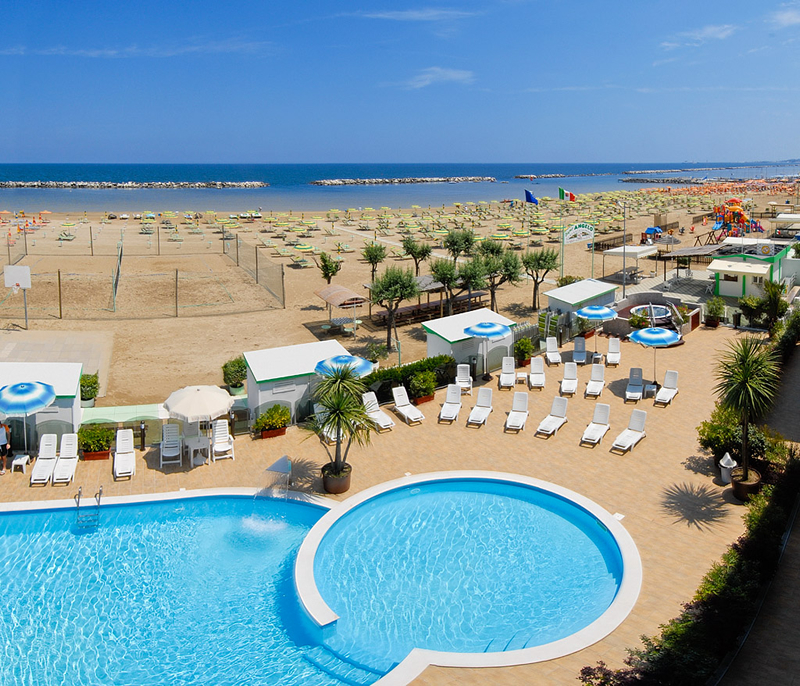 From the pool of your hotel in Viserbella di Rimini just take one step down, a simple step, and you will find yourself on the sand among the beach tennis fields, beach volley field, basketball, bocce and a kindergarten. To spend all your days under the sun or to participate in so many other activities found on the beach during the summer with maximum care to relaxation for anyone seeking: muscle toning, aqua-gym, musical entertainment for adults and children, parties, games.